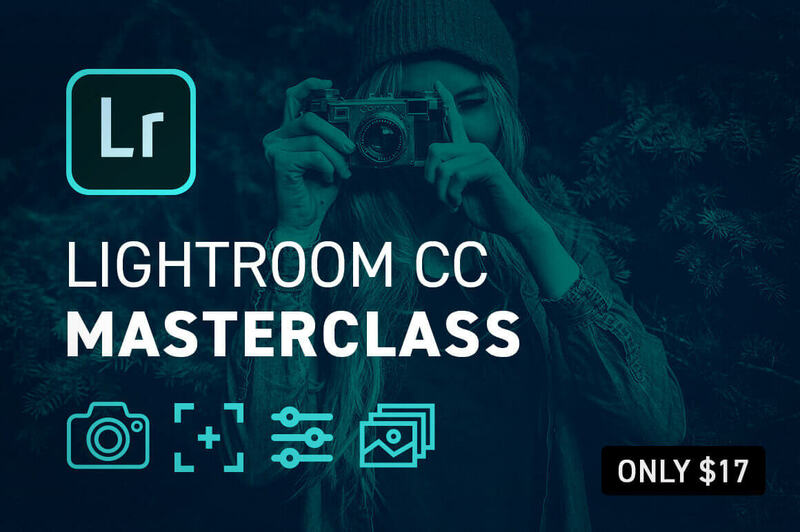 Master Lightroom CC with the Online MasterClass Course - only $17! If you're fascinated by photography and want to develop your photo editing skills and general understanding of photography in either a personal or professional capacity this course is for you. Once you are finished you will be editing like a pro. It covers both Adobe Lightroom CC and Adobe Lightroom Classic CC. Get to grips with the differences between the two, how they fit into your workflow/lifestyle and master them both so you are ready to use them with total confidence, either professionally or personally. These applications are the industry-leading tools for photo editing and give you ultimate control over all aspects of your images from lighting to effects, detail, optics and loads more. Both also have unique and individual ways of helping you to organize and manage your photos, so you never lose or waste time searching for an image again. Lightroom CC - is a cloud-based programme and the perfect tool for editing images on the go either on your mobile device or laptop. Plus your photos are always with you. Lightroom CC will store them ready to be used on any device with the Lightroom CC app. Learn how to capture, organise and develop images. Adjusting exposure and colour, creating effects and split tones, using presents, etc will become second nature. This software is ideal if you create a lot of online content for blog posts or social media. Having knowledge of this software will help you take your shots to the next level, ensure your images stand out and help you build a strong visual style that connects with your audience. Or if you are a keen hobby photographer looking to hone their skills and share their passion for Photography! Lightroom Classic CC - is essential for anyone looking to become a professional photographer and extremely useful for most roles within the creative industry! Learn to confidently work in every area of Lightroom including the Library, Develop and Map modules and get excited about editing images as you learn to make elaborate adjustments, add effects, remove unwanted details in photographs etc. Martin Perhiniak is a Certified Adobe Design Master and Instructor, and an incredibly talented teacher and one of the most popular author on Tuts+ Network. He has been teaching Adobe applications for several years in classrooms, online courses, seminars and shows around the World. Martin has worked as a designer with companies like Disney, Warner Brothers, Cartoon Network, Sony Pictures, Mattel, and DC Comics. He feels it his mission to share his insights of the design industry and its latest trends with beginners and creative professionals around the World. Normally this insightful course sells for $97 but for a limited time only, you can get lifetime access to Lightroom CC 2018 MasterClass for only $17! That's a savings of 82% off the regular price. You will receive unlimited access to course content without expiry date. Video lessons can only be accessed online. Course includes downloadable Exercise Files and Study Guide PDFs. Compatibility: Windows, Mac, iPhone, iPad and Android. No software included.